Welcome to our dojo's web site! The Isshinryu Karate Academy (IKA) located in Washington, NJ, is the town’s oldest, continuously operating martial arts school. 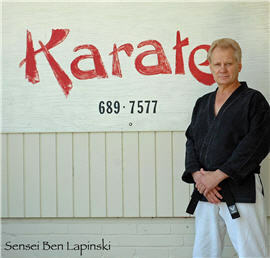 Founded in 1980 by Sensei Ben Lapinski, the IKA teaches a traditional type of Okinawan karate. The IKA instructs children from as young as 5, to adults of all ages. Classes are organized by age and are taught by experienced, senior black belts. Instruction is given is a disciplined but accessible environment with attention to traditional customs and techniques. Outside of training the IKA is a friendly, family-oriented community of students, teachers and friends. To learn more about us and what we do explore our site, and when your ready give us a call or visit our school! Please call (908) 689-7577 or stop by the dojo.